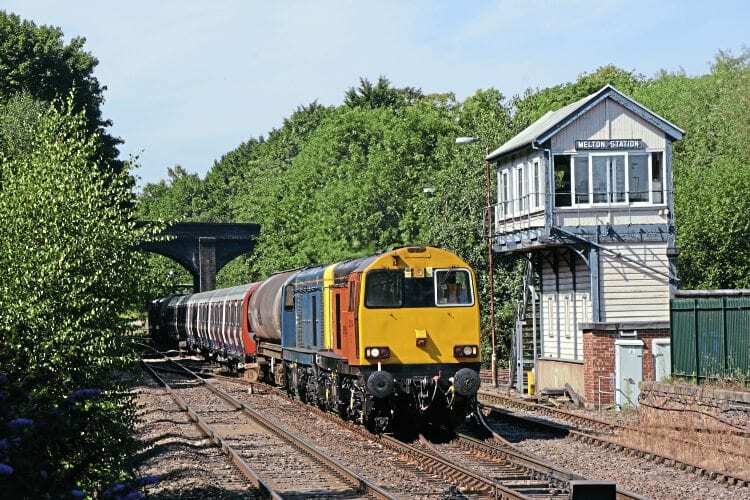 THE future of the Class 20s that are on hire to GB Railfreight for the transfer of tube stock between Derby works, Asfordby test site and West Ruislip depot, now that the last trainset (in numerical order) has been delivered, remains unclear. There are still trainsets that are awaiting transfer from Asfordby to West Ruislip and the need to return some sets to Derby for ‘remedial’ work is expected to see their continued use through to 2018, although no final date has been given. There has been no official word from Direct Rail Services that it will use Class 20 traction on the York-based Rail Head Treatment Trains during the 2016 season hence the uncertainty facing the fleet. Colas Rail has begun to see its Class 56 locomotives returning to service as the ordered spares, particularly wheelsets, are received following delivery delays.